Boat parking at 5 cabins & free fishing advice. Discover the true meaning of "Happy Holidays" in an authentic Log Cabin in Lakes Entrance. Lazy Acre Log Cabins offer fully self contained 1, 2, 3 BR cottages. 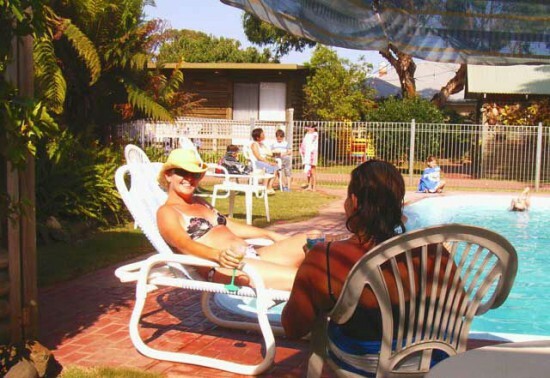 The 9 authentic Award Winning Cottages, are set in cottage and tropical gardens, right in the heart of Lakes Entrance. Choose from quiet cottages suitable for one or two couples, or family cottages nearer pool & playground. Spacious living. Comfort, cleanliness and attention to detail is why our guests keep coming back.